As we all know, mosquitoes are not only irritating, but can lead to several serious diseases. Linked to diseases like malaria, dengue, chikungunya, elephantiasis and many more vector-borne diseases, mosquitoes are a big menace to humanity. Here are eight plants to keep away mosquito from house. 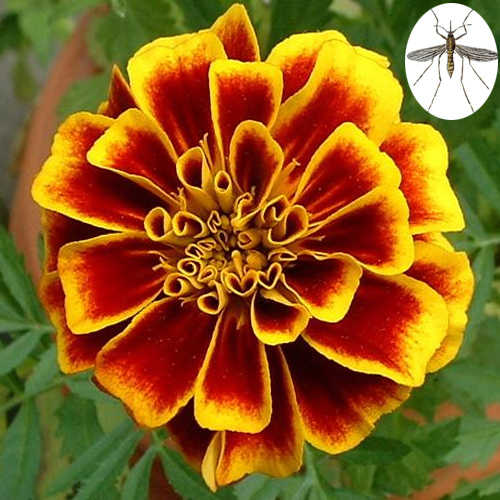 As a popular annual, marigolds are always found in flower beds and containers during the summer months, but their mosquito-repelling ability hasn't been widely advertised. Many gardeners use them in the veggie garden to deter other insects, but as a mosquito repellent, marigolds are powerful.